The earlier kids learn to identify and set goals, the more likely they’ll continue to set and achieve goals in the future. Start teaching your kids how to create and achieve valuable goals early on by setting fun, manageable New Year’s resolutions. Do it together. Discuss and set your resolutions as a family. 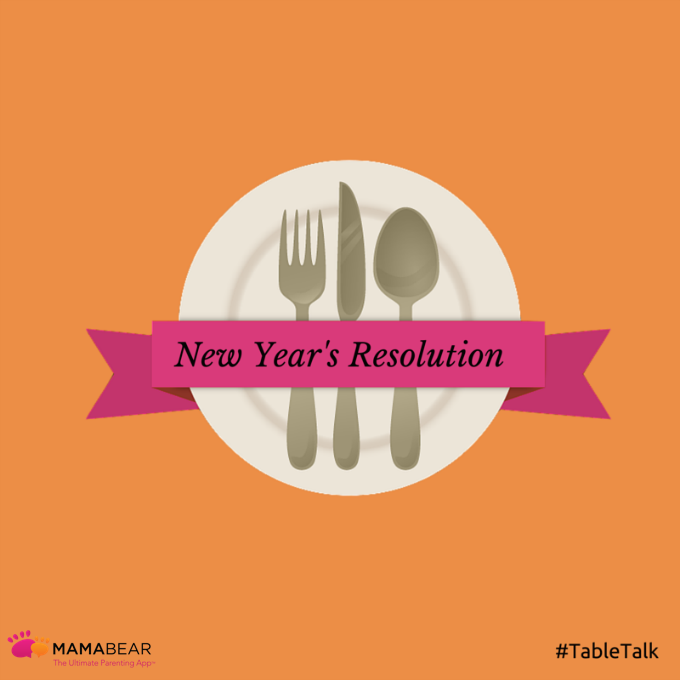 It’s easier to stick to a plan when you have the support of your loved ones, so make setting resolutions a fun family event around the dinner table. It will help you accomplish your goals and have accountability among everyone. Not to mention you can build closer bonds by supporting the goals and interests of your spouse and kids. Make suggestions, but don’t make requirements. It’s important to show your kids that they are doing this for themselves. So, help guide them, but don’t completely direct them. Give suggestions, but don’t insist that they choose a resolution you want them to take. Make a big list. Have fun with it and make a long list. Then pick one or two good ones. Be specific. In a Parents.com article, clinical psychologist Robin Goodman, Ph.D., suggests breaking down broad resolutions into concrete, easy-to-do steps. DON’T say: improve my grades. DO say: study an extra 30 minutes per weekday. DON’T say: eat better. DO say: eat a piece of fruit at lunch every day. DON’T say: I’ll help mom more. DO say: help mom with folding the laundry on Sundays. As you and your family make goals for the year, suggest categories you can focus on. Bonus Resolutions for Parents: Consider your kids when setting your goals. Set long-term financial and health resolutions that protect them. Plan for your financial future by setting up investments and savings accounts. Retain proactive health insurance plans that will provide sufficient funds if you or your children get sick. We suggest using ACA Insurance Services to find affordable, responsible family plans. And of course, be proactive about your own health. Your kids need you to live a long, healthy life so set goals to protect and maintain your body and mind. The best way to help your child reach their goal is to reach your own. So, work on it together. Display your resolutions where you can see them. Creating a habit is about repetition so display your goals in a location of your house where you will walk past it frequently to help remind you and reinforce your goal. Hold each other accountable. Ask your kids to tell you if they see you breaking your resolution. If they are allowed to catch and call out your follies, they will be more receptive to you doing the same to them. Teach them that holding each other accountable is not about blaming or tattling, but rather supporting and guiding. Make it a tradition. Have fun with it so it’s something your kids look forward to. Make it an occasion and enjoy your favorite foods while making your resolution list. Or add a unique twist that makes it extra special like dressing up, decorating, enjoying a cake or dessert, or making a fancy resolution board. Then review last year’s resolutions and reward each other for accomplishing their goals. Setting resolutions is a way to start to create habits that last a lifetime. Enjoy it and use it as a way to improve your future and grow closer to your family. For more ideas on dinner discussion ideas that can help your family connect, check out our series of Table Talk Topics. Previous PostPrevious Children and Television: Can TV Affect Your Child’s Behavior?